Find out more about our presenters, how to get in touch if you have a story and how you can catch up on the latest news. Hello Good Morning Britain & Good Morning Central! Good Morning Britain goes live from 6:00am & there's a new look for ITV News Central too - find out when to catch the news near you here. ITV News Central has an experienced team of journalists who work across the East and West Midlands - these are our presenters. 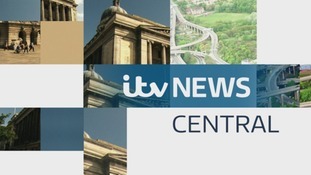 If you have a story there are a number of ways you can get in touch with us here at ITV News Central. For all today's news and recent stories covered by ITV News Central please go to our main news service.